Her current projects include a large residence on mainland China, a private house for a member of the Jordanian royal family in Amman, a town house in New York and a country house hotel overlooking Cheltenham race course, and it is this broad range of commissions that makes Nina uniquely qualified to guide the home decorator. Nina Campbell Ineriors focuses on introducing all-important detail into the home, whether in the form of texture, colour, lighting, art, flowers or other finishing touches. 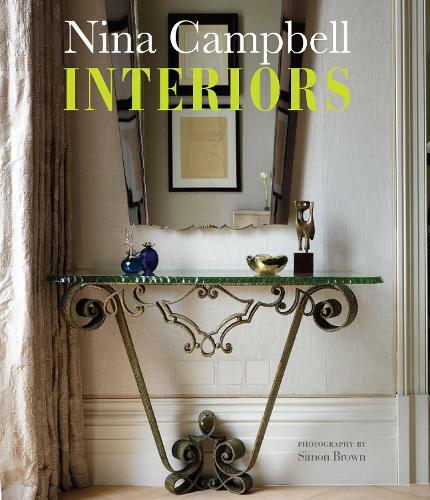 This book features the private homes of Nina's clients, ranging from a city pied-a-terre to a large family home, from a chic apartment to a country bolt-hole, A New York brownstone to a vast home in Shanghai, all designed and decorated to suit a range of lifestyles, but all reflecting Nina's infallible eye for detail.